With mountains on all sides, Bozeman provides visitors with year-round recreation, from the exciting adventure of snowmobiling or river rafting to the quieter nature experiences found in fly fishing and snowshoeing. The region's history is showcased in several venues. Bozeman, located 80 miles from the Gardiner entrance, is a popular gateway to Yellowstone National Park. Here are nine fun things to do in and around Bozeman, including the town of Livingston. The Museum of the Rockies features both the natural and the human history of the Rocky Mountain region. You'll find the Museum's extensive dinosaur fossil collection fascinating; the quality of the interpretation adds significantly to the educational experience. Other exhibits at the Museum of the Rockies cover Montana's human history, including Native Americans, mining history, and transportation. The "Explore Yellowstone" exhibit in the Martin Children's Discovery Center introduces little ones to the animals, geology, and outdoor recreation opportunities to be found in Yellowstone National Park. A planetarium, living history farm, and traveling exhibits are other fun things to check out while at the Museum of the Rockies. Wherever there's a source of hot mineral waters, a multi-service resort facility is sure to pop up. There are two such hot spring resorts in the Bozeman area. At Bozeman Hot Springs, you'll find mineral water pools ranging from hot to cool, along with a variety of health, spa, and fitness services and facilities. Chico Hot Springs Resort & Day Spa, located south of Livingston in Montana's Paradise Valley, have given rise to a destination resort. In addition to hot pools for swimming and soaking, the resort offers a range of historic and modern lodgings, fine and casual dining, a saloon, a full-service day spa, and special event space. You'll also have access to a number of outdoor activities, including horse riding, river rafting, and dog sledding. 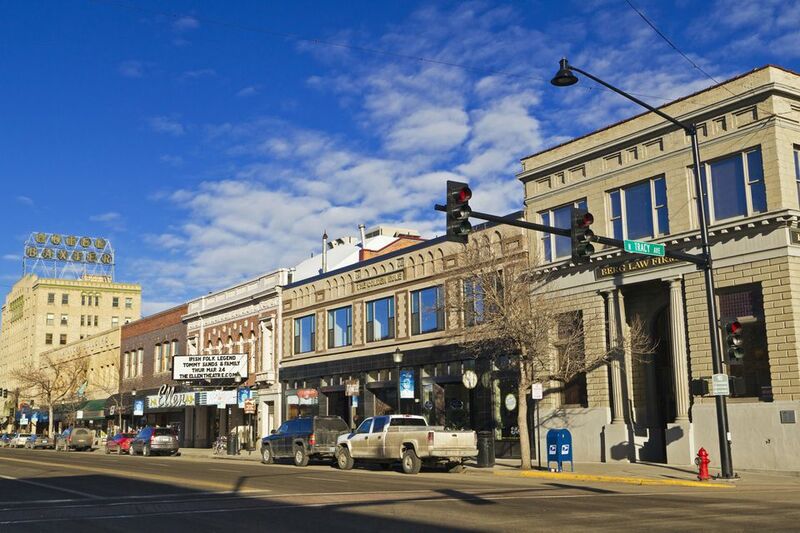 Bozeman is close to mountain resorts offering downhill skiing and much more. Just 16 miles north of Bozeman, Bridger Bowl offers hiking, mountain biking, and horseback riding in summer and skiing and snowboarding in winter, whereas neighboring Big Sky Resort has scenic lift rides, a zipline, disc golf, and all the snow sports. A few miles west of Big Sky Resort, Moonlight Basin's on-mountain fun includes mountain biking, horseback riding, and yoga in summer. Winter brings skiing, snowmobiling, snowshoeing, sledding, and more. With the Gallatin River running right through town, and the Madison and Yellowstone Rivers (along with smaller streams) within a short drive, Bozeman is very popular with fly fishers. Fly shops, guides, and outfitters abound. Many local lodges also provide packages and services specifically tailored to fly fishers. Try Montana Angler for a guide service that can arrange everything from a single-day excursion to a multi-day trip with lodging. The Bozeman area has a lot to offer to snowmobile enthusiasts, including not just abundant snow and trail but numerous guides and outfitters. The surrounding mountains and forests provide amazing terrain. Here are some of the more popular snowmobile trails near Bozeman: Big Sky Snowmobile Trail, 120 miles of trail located between Bozeman and West Yellowstone, Gallatin National Forest, 84 miles of groomed trails, including the popular Buck Creek Ridge, and Two Top National Recreation Snowmobile Trail, which runs from West Yellowstone into Idaho. Most of us learned about buffalo jumps—places where buffalo were hunted by driving them over a cliff edge—in grade school. If you've never visited one before, Madison Buffalo Jump will best fit the scene you likely first imagined as a youngster. As you look up at the cliff from the interpretive outlook, history comes alive. Madison Buffalo Jump State Park is located near the town of Three Forks, just west of Bozeman. It's a short but steep hike from the parking lot up to the "Interpretive Pavilion," where you'll find informative panels and sheltered benches. The state park also offers hiking, picnicking, and biking. With the arrival of the Northern Pacific Railway in 1882, Livingston became the first gateway city to Yellowstone National Park. The Yellowstone Gateway Museum showcases the history of those days in photos and artifacts. You'll also find exhibits covering Native Americans, geology, paleontology, and local history. The Yellowstone Gateway Museum is located in a striking old three-story schoolhouse. The Bozeman community hosts a number of special events and festivals each year. One of the best is August's Sweet Pea Festival, held in Lindley Park. This includes all the live entertainment and decadent food you expect as well as arts and crafts booths, an art show, theatre, and dance, and a flower show. The festival schedule includes the Sweet Pea parade, ball, and children's run. In October, the Bridger Raptor Festival is a free festival that celebrates the annual migration of Golden Eagles with wildlife films, nature walks, and talks, and educational programs. This local museum focuses on the history of early settlement in Bozeman and the Gallatin Valley, with some information covering more modern times. Exhibits feature agriculture, music, law enforcement, and the annual Sweet Pea Festival.